The best part about being a Colorado Wedding Photographer is you really can work year round and get such an eclectic set of weddings. For example this beautiful winter wedding at Lionsgate Event Center really stands out among my favorites. 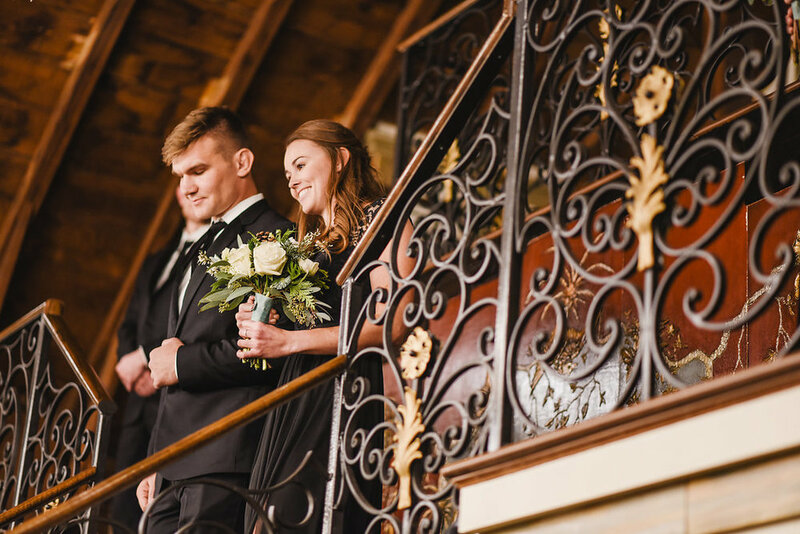 Colorado weddings can take place any time of the year and for example, this wedding, the weather can be absolutely perfect even if there is snow on the ground! I loved Ariel + Eriks perfect details (um hello, custom stemless wineglasses?? both practical and pretty!) and the colors of this wedding. A classic white, black, metal tones and greenery scheme stood out perfectly against the vintage nature of the venue and the crisp white snow. So glad I got to be a part of this perfect day (but really, I love all of my wedding days so don't worry - I say this a lot!!) Congratulations Erik and Ariel, I wish you two the best!